Twilio Programmable Chat provides an SDK and robust back-end for real time chat applications, but it's missing a front-end. If you need a chat UI, as well as a whole bunch of other useful components, then KendoReact might be what you're looking for. 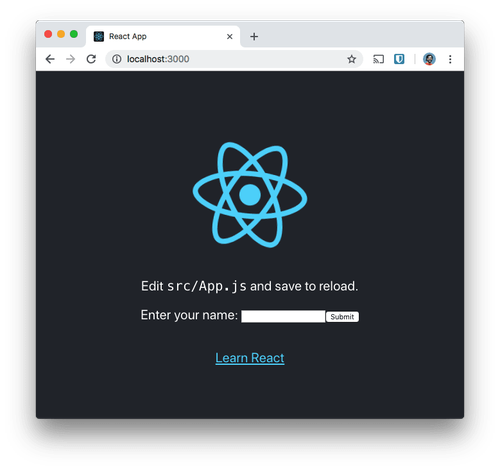 We have our Twilio Chat application ready and our React app set up. Let's get building. There's a bit of work we need to do before we start on the chat integration. We need to install some dependencies, remove the example app, and add a bit of style. Let's start with those dependencies. With that done it's time to build our first component. For users to join our chat we need them to log in and choose a username. If you are building this into an existing application, you probably already have users and a login system. For this post we're just going to fake it by presenting a login form that asks for a username. That's quite the chunk of JSX, so let's break it down. The whole thing is a <form> containing a <fieldset> and <legend>. Then inside there is an <Input> component and a <Button> component. These are the KendoReact components that we imported. They act like regular <input> and <button> elements but fit in with the KendoReact style. The JSX also includes some properties we need to provide the component with; a username and two functions to handle events. We'll add these to the <App> component so we can pass them in as properties. Open up src/App.js and start by importing the new <Login> component. Now let's update the render function to show the username if the state says the user is logged in, and the <Login> component otherwise. If your application is still running, return to the browser and you will see the login form. Otherwise start the app with npm run dev and open localhost:3000. Enter your name in the form and press enter or click "Sign in". Let's set up some initial state in the constructor too. We'll need a list of messages, an error state in case anything goes wrong, and a boolean to show if the chat is loading, which will start as true. The starter project is already setup to return a token when we pass an identity to the /chat/token endpoint. We'll use the fetch API to make the request as part of the componentDidMount lifecycle event. We use componentDidMount here as the React documentation tells us that this is a good place to load external data. The response with the access token will be JSON, so we'll need to parse it using the response object's json method then once it's parsed, we can use the token to initialise the Chat client. Write the method to handle the error. We'll set a message in the state and log the full error so we can debug if we have any trouble. We've initialised our Chat client with an access token but there's more to do. Once the promise resolves we need to use the new chat client to join a channel. As this is our first time through the process we'll check to see if the channel exists. If so, we'll attempt to join it; otherwise, we'll create it then join it. We catch the error in the middle in case the channel doesn't exist (a 50300 error) and create the channel. Also, if joining a channel throws an error we catch it and do nothing. This handles the case when the user is already a member of the channel. Lastly we need to render this entire component from the <App> component. Import the <ChatApp> component at the top of src/App.js. Now update the render function of the <App> component to return the <ChatApp> component when the user is logged in. Twilio Programmable Chat is a powerful SDK for chatting and KendoReact's Conversational UI makes it really easy to display the chat in a React application. Most of the work we had to do was generating an access token and setting up the Twilio Chat. Once we'd written a couple of functions that translated the messages from Twilio to KendoReact and from KendoReact to Twilio the UI just fell into place.